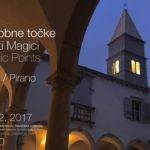 The event intended for both residents and visitors eager to play, culture, discover the unknown in the city center and to understand the structure and energy of the city center of Piran. 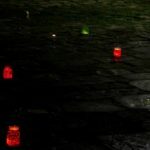 The event was drawn from the recognition that each point of the open space is exceptional and different according to the way of observation and interpretation. Most of the points were derived from the content given by the city core. 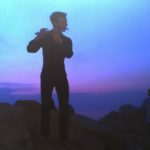 The project is focusing on the identity of Piran and the connection of local inhabitants to the space. It was based on the need for a different and especially less perceptual perception of Piran and, consequently, of the Slovenian coast. 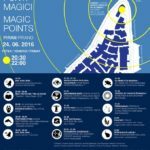 Through various forms of light and sound, the possible truths and potentials of the city in the less known part of the Piran streets are revealed. 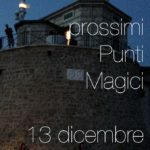 The city core of Piran has come to life in a multidisciplinary art event for more than two hours, which managed to connect people with space and to inspire it with their imagination and experience. A joint discovery and exploration of the identity of Piran, the often ignored side streets, realization that the city is alive and above all, to live with all of us, who are part of it in one way or another, as well as residents or visitors. Replay and an upgrade of the 2014, 2015 and 2016 projects, financed by Munipacity of Piran. 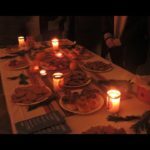 Again, on the evening of St. Lucia we have connected contents of light, sound and time in a new, in-situ experience made of 14 points in a Minorite Monastery in Piran. 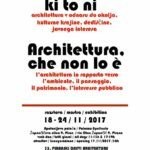 Exhibition at the 35th Piran’s Days of Architecture. Architecture in relation to the environment, cultural landscape, heritage and public interest. The spring, performance (22.9.2017): Fiesa, lungs and green heart of Piran is known after cultivated terraces, a forest that is spreading on the abandoned terraces, along the meadow at the beach, and especially two freshwater lakes and cliff walls. Only a very few people know that Fiesa also has water sources! We searched for the spring and his sound in the movement. A series of Piran jumps to the sea, summer 2017 (23.9.2017): The event is kind of a fashion show of the Piran Youth, which spends all the time from the beginning to the end of school holidays at the last of four pier on Prešeren’s embankment. 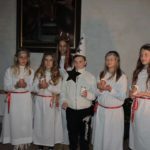 These are elementary pupils from Piran, aged 8 to 15, who are in contact with the seaside and the sea throughout the year. White lady Devin, performance: (23.9.2017): The event reveals the theme of one of the most famous legend of the northern Adriatic “The white lady from Devin.” Legend occurs at the Devin castle, on the mighty cliff in the Gulf of Trieste, from where the view extends widely across the Adriatic sea. Rilke and Dante Alighieri were poets said to be living there. White lady arrived from the depths of the Adriatic sea to the port of Piran in words, sounds and movements. 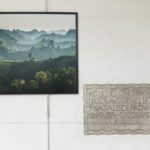 Terracced landscape and its future (24.9.2017): A traveling exhibition about the terraced landscape, which was presented at the 3rd World Meeting on the theme of terraced landscapes in Padua, two weeks were seen in Piran, a sample case of terraced Mediterranean landscape. Many of the most beautiful and the most famous cultural landscapes are the terraced landscape. The most important function of shaped slopes is not in aesthetics, but in preventing the erosion of fertile floor. Terrally shaped slopes on the flysch with a view of the salt-pans and the sea is also likely in the Mediterranean unicum, that’s why it’s cultural landscape should be preserved. 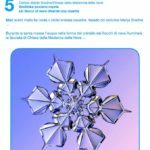 Snowflake becomes a rosette: (26.9.2017): We don’t see water in the form of snowflakes in Piran very often. But we do have a church called after Mary Snow, which is almost not noticeable, so small and modest is its exterior. Different geometric shapes of snowflakes were projected during the Holy Mass on the facade of the church. Architecture of water in the form of snow. Snowflakes recreated the rosette that was in the past removed from the facade. Why the water doesn’t flow from the tap? (29.9.2017): The manual pump at the Market on May 1 was already often painted and countless times taken. Many scenes took place in various films right next to this pip, from which they have not been for years drooping drops. We are competent jokes, what is the procedure to make Piran on the former The municipal market again had drinking water. 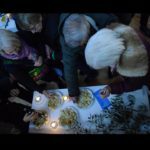 The dynamics of the sea border, a guided walk (9.2017): The purpose of the event is the crossing of the sea border the Piran Peninsula, the experience of space between the sea and the land, the experience of the border with no line, but a belt whose width is constant changing. During the walk, we pay attention to the diversity of the experience of the sea and the land by walking along different types of beaches, quays, and embankments. The sound, smell and shine of the sea will keep us company. Istrian Clouds of fragrant drops (30.9.2017): The narrow streets of the historic core of Piran as corridors received clouds from the scattered tiny scented droplets of hydrolysates obtained from the indigenous plants of Istria. 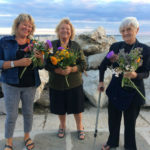 In the urban environment of the city center of Piran, we dived into the smells of plants for a short time, which led us to a different perception of Istria. Meeting with Drago Kladnik, author of the publication. Within Month of Landscape Architecture 2017, we have organised an exhibition in the Minorite Monastery in Piran. A walk in the Month of the Landscape Architecture of 2017 together with Jana Bergant, Mate Turin and Dejan Zadravec. Experiencing and talking about the green terraces of Cortina. Search for drywall and stone staircases, which are a key part of the terraced landscape of the Slovenian coast. Discussion on terraces and terraces. 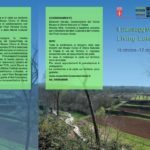 A guided walk in the Month of landscape architecture 2017 together with Alenka Prvinšek Persolio, experiencing and talking about the green terraces of Strunjan. Search for drywall and stone staircases, which are a key part of the terraced landscape of the Slovenian coast. Discussion on terraces and terraces. A walk in the Month of the landscape architecture of 2017 together with Milan Kogovšek, experiencing and talking about the green terraces of Fiesa. Search for drywall and stone staircases, which are a key part of the terraced landscape of the Slovenian coast. Discussion on terraces and terraces. Within the Month of the Landscape Architecture 2017. What is the future of the terraced landscape overlooking the salt-pans and the sea in Piran? Is the maintenance of a cultural landscape in the interest of sustainable development towards green tourism? 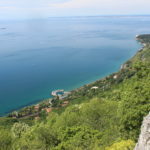 Guided walk and talk about the green terraces of the Piran peninsula. Opening of the exhibition in the Monastery of St. Franciscan Assisi in Piran. Technical consulting for a plan development of the building permits of a noise dunes along the railway lines for Roslagsbanan and Slatsjöbanan in Stockholm for Lidénkonsulter HB, Umea, Sweden.